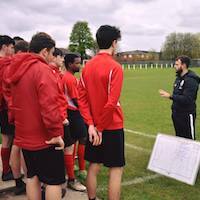 Onside Sports Education Limited focuses on providing opportunities for people who are passionate about learning across a wide range of professions. Onside Education find themselves in the North West of England where they have their head office, and also satellite centres in major cities like Manchester, London, and Coventry. Onside Education is committed to helping individuals unlock their potential. From the onset, they have been doing well, but they refused to settle with their current achievements. They wanted to grow to the next level. Growing a business to the next level while maintaining the day to day performance is easier said than done. Onside Education decided to look for solutions to their growth and development goal. The answers they found all seemed reasonable, but each one felt like trying to put a square peg through a circle. That as when Onside Education reached out to Fair Business Loans. Working closely with their dedicated underwriter, Onside Education put together a game plan that would help them achieve their aims using Fair Business Loans' support. At Fair Business Loans we are not just looking at figures, we are committed to providing you specific solutions to your goal. We believe in working with you until you to achieve your goals. If you are ready to take your business to the next level of growth, please visit our website to fill out an application (click here to start) or speak to a member of our team on 0208 988 0627.